You should never have to try and balance affordability, luxury, and performance when the time comes to buy or lease a quality sedan here in Youngstown. This reality isn't lost on Nissan, which is why the newest Altimas waiting for you here at Boardman Nissan offer up a bevy of premium qualities and features. 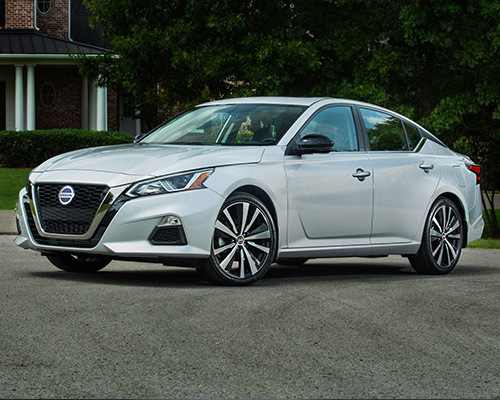 This means every discerning shopper, from those who enjoy cutting-edge performance to those who take a liking to luxury amenities, should consider buying or leasing a Nissan Altima if they truly intend on making their lives a little easier. Obviously, comfort and convenience are major parts of the Nissan Altima ownership experience. 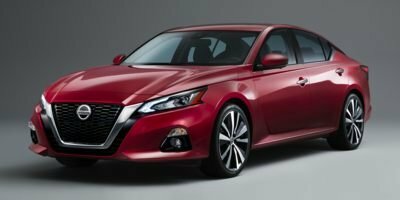 But thanks to the world's first variable compression turbo engine — an impressive feat of engineering capable of generating 236 horsepower (hp), 267 pound-feet (lb.-ft.) of torque, and up to 34 miles per gallon (mpg) on the highway and 25 mpg in the city — it is safe to say the Altima is capable of so much more. For those of you out there who place a higher priority on fuel efficiency and being eco-friendly, the Altima's new 2.5-liter (L) four-cylinder Direct Injection Gasoline (DIG) motor (which offers up 39 mpg highway and 28 in the city, all while delivering 188 hp and 180 lb.-ft. of torque) is the right pick for you. Going above and beyond raw power, the latest Nissan Altimas on our showroom floor also come loaded with plenty of other features and inclusions that promote enhanced performance. Specifically, adding in an independent rear suspension featuring new monotube rear shocks, Active Ride Control, and Intelligent Trace Control all go a long way toward creating an unbeatable driving experience. Thanks to these premium features, gripping the road tightly and unleashing your inner racing spirit is merely par for the course for those who join the growing family of happy Nissan Altima owners here in Youngstown. As soon as you sit down in an Altima of your own, it does not take long to see that this vehicle was built with luxury in mind. Regardless of your preferences, it is safe to say having access to Dual Zone Automatic Temperature Control, available heated fronts seats, a heated steering wheel, and plenty of other premium features ensures this trailblazing sedan has a little something for everyone. And, don't forget that you can always leverage the Altima's 60/40-split folding rear seats to trade in a bit of its spacious interior for enough cargo room to haul around bulky luggage and other personal items with ease. Laying a strong foundation (and putting the rest of the industry on notice) is the key motivation of the Altima S trim level. 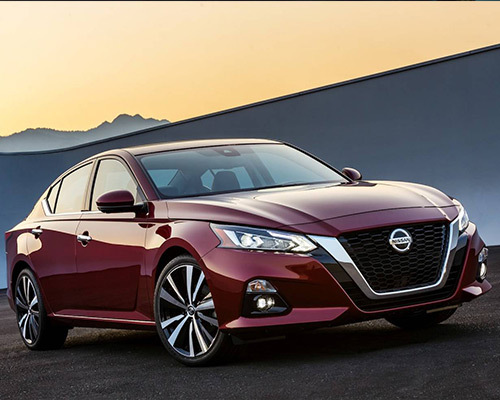 Nissan recognizes this, which is why this take on the Altima has everything needed to upgrade your daily routine. From having access to automatic emergency braking and Apple CarPlay to an eight-way power adjustable driver's seat (and even the NissanConnect eight-inch (in.) touchscreen), one concept will always hold true: Making the most of your time spend on the roads of Youngstown always starts with the alluring, powerful, and feature-rich Altima S on your side. Owning a Nissan Altima Platinum sends a strong message that you expect nothing but the best from your vehicle when it comes to luxury accoutrements. Thanks to 19-in. 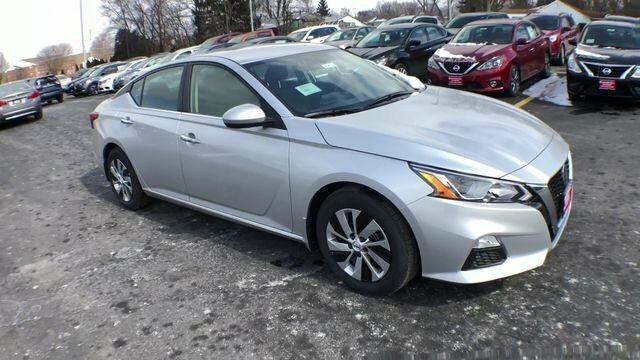 aluminum-alloy wheels, driver's memory seat, interior accent lighting, and plenty of other premium inclusions, making good on this stance is never a question for the Nissan Altima Platinum. Isn't it time you had the chance to enjoy the finer things in life during your time spent on the roads of Youngstown and across the country? Why shouldn't your sedan offer up a boldly sporty style? By leveraging 19-in. 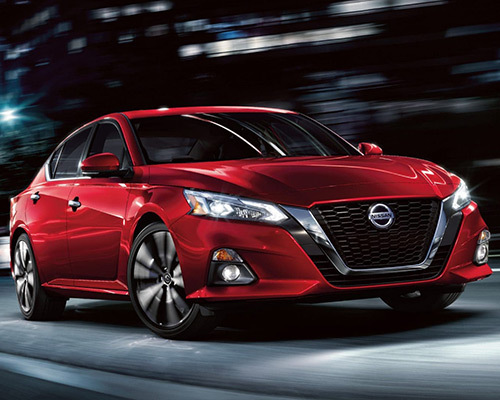 aluminum-alloy wheels, sport-tuned suspension, paddle shifters with manual shift mode, and tons of other additional sport-focused features, the Nissan Altima SR is proving time and time again that breaking the mold is well within its reach. Going a step further, a dark chrome V-Motion grille and signature LED headlights build on this foundation and add an extra dash of panache to your time spent cruising on the streets of Youngstown. Looking for a sedan that has a wealth of premium tech amenities? Then now is a great time to spend a few minutes getting to know the tech-rich Nissan Altimas for sale or lease here at Boardman Nissan in Youngstown. With optional Android Auto, Apple CarPlay, and Nissan's Door to Door Navigation system waiting for you, feeling more connected than ever is to be expected once you take your seat behind the wheel of a new Altima. Beyond all of this, access to the upgradeable NissanConnect platform gives you access to virtual assistant technology via Google Assistant and Amazon Alexa, thereby cementing this sedan's status as the leading name in luxury automotive tech in its class. Truly enjoying all the road has to offer requires a vehicle that knows how to leverage the perfect soundtrack to heighten the mood. In particular, a crisp, powerful nine-speaker Bose Premium Audio System designed specifically with the Altima in mind ensures you always have the perfect track set to your adventures on the open highway. Going a step further, Active Noise Cancellation takes this concept to the next level, all while keeping noise pollution and outside interference from ruining your own personal in-car concert. The latest Altimas found at Boardman Nissan know a thing or two about making your life a little easier via available Intelligent Climate Control, heated seats, and even an optional heated steering wheel. While these are all impressive, nothing really compares to the impressive functionality and usefulness of this vehicle's available intelligent remote start system. By syncing up this tool with the previously referenced Intelligent Climate Control, having the ability to remotely heat and cool your Altima's cabin (and even turn on the heated seats and steering wheel) all happens within the palm of your hand. As you can see, Nissan is willing to do whatever it takes to ensure you remain safe along every mile traveled in your Altima. Once you combine this realization with the rest of the info we have covered here, the Boardman Nissan team has no doubts it will not be long before you are walking through our front doors to learn how you can own or lease a brand-new Nissan Altima of your own.